This past Friday, we finally see the release of the Apple iPad in Hong Kong. Due to limited stock available on the local Apple Store and for the local retailers, the price of the imported iPad still remain on the high side, around HK$800-1,000 on top of the official price tag (that’s as of this morning). Judging from the price, only the 16GB versions are a bit cheaper than the US release prices whereas for the 32GB and 64GB version, it’s a buck or two higher. As for the release of the Apple iPhone4 for Hong Kong, the official date is this coming Friday, 30 July 2010. The iPhone 4 is available at the local Apple Store, SmarTone-Vodaphone stores and selected ThreeHK’s retail outlets. No news on the release price yet. Meanwhile, across the border over in Shenzhen, tons of iPad-look-alike Android based tablets are flooding shopping malls all over. Steve from Honkie Town was up in Shenzhen the past weekend and he blogged about it on his latest post. Link here. 579MB for the full load, now available. According to Apple, iOS 4.0.1 “improves the formula to determine how many bars of signal strength to display.” Well, just wait and see what they have to say at tomorrow’s iPhone 4 press conference. Shortly after releasing their NEX line mirror-less camera, the NEX-3 and NEX-5, Sony announced the all new NEX-VG10, the world’s first consumer interchangeable lens HD camcorder which utilizes the same E-mount lens. 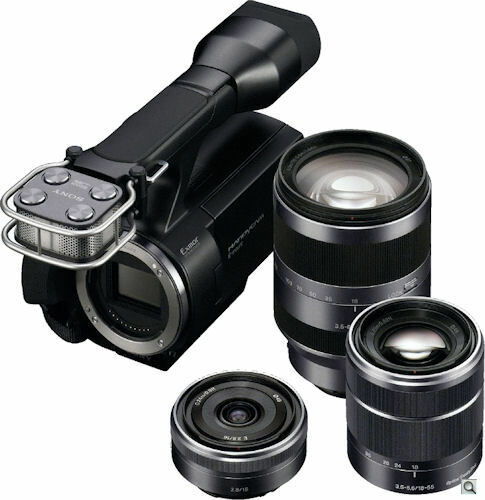 Like the NEX-3 and NEX-5, this camcorder can use the alpha lenses as well by using the alpha-mount adapter. The NEX-VG10 will start shipping this September at just under US$2000. For a complete preview, check out this article over at image-resource.com. Thanks Maverick for the video link. This baby is looking sweet. CNET Asia Community Blog Entry – What’s in My Gear Bag (2010 version)? My new entry over at CNET Asia Community Blog is up. This week’s entry, “What’s in My Gear Bag (2010 version)?”. Click here for the full read. So, what is StartUp Saturday all about? 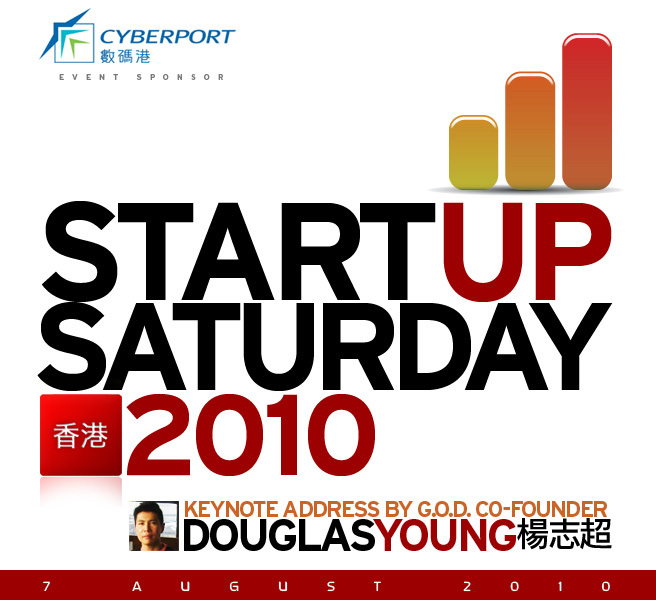 StartUp Saturday HK 2010 is THE entrepreneurial event of the year! The 1-day event at Cyberport in Hong Kong will bring together start-ups, entrepreneurs, investors, students, media and tech enthusiasts from Hong Kong and around the region to see 20 Startups showcase their companies and an amazing line-up of panels focusing on funding, creativity, development and ideas for starting up the next big business in Asia. You can find the download page here. Oh, one more thing, the firmware upgrade is for PC only, Mac users, eat your heart out.